"I have to keep building from this point. I know there are a lot of things I can improve, keep working hard. I want to help the team win more games." This was to be the turning point for Nikola Mirotic. It was his third NBA season, generally the time for young players to establish themselves. 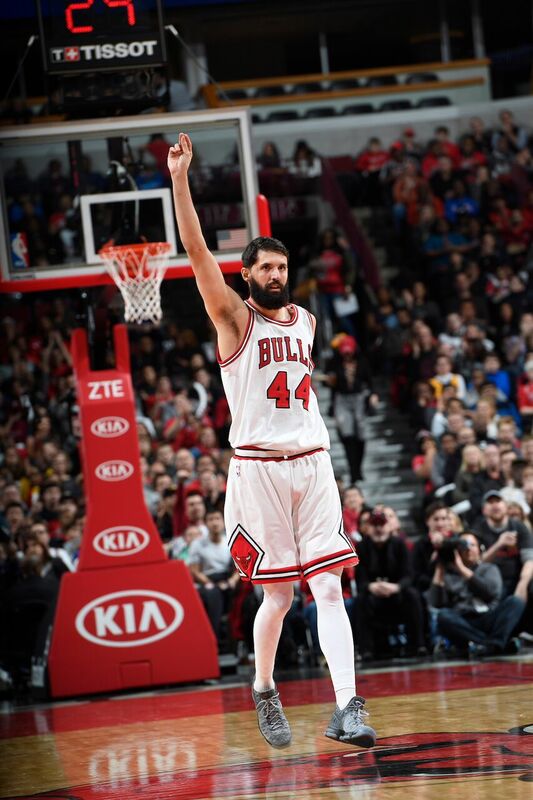 The 25-year-old from Montenegro was drafted in 2011, but Mirotic didn’t join the Bulls until 2014 after being voted the top young player in Europe in consecutive seasons. He didn’t play much early that season, but then with his wiry 6-10 frame and three-point shooting touch he emerged as, amazingly, one of the best players in the NBA late that season. Mirotic led the entire NBA in highest percentage of his team’s fourth quarter points and total fourth quarter points in averaging 20.8 points for the month of March. A closer. A star looked to be born. Mirotic was twice Rookie of the Month. He received 14 first place votes and was second to Andrew Wiggins in Rookie of the Year voting. 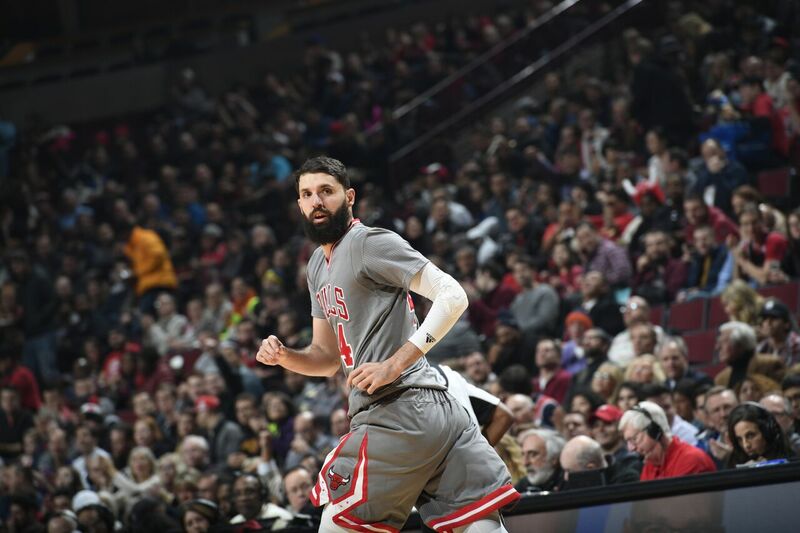 Mirotic’s sophomore season was cut short by appendix surgery after a solid January when he averaged 11.6 points and shot 41 percent on threes. He had complications and never truly regained his strength even as he pushed past doctors advisories to return. So now it was time. The Bulls coaching staff, without saying so openly, seemed to want Mirotic as starting small forward for his court spacing shooting. It was his contract year, though as a restricted free agent the Bulls can match an offer. The pressure was on. But after a medal playing with Spain in the Summer Olympics, he felt ready. Mirotic had played for multiple championship teams with Real Madrid. But then Mirotic was erratic in the preseason while Taj Gibson was perhaps the team’s best player. The staff had to award the starting job to Gibson. 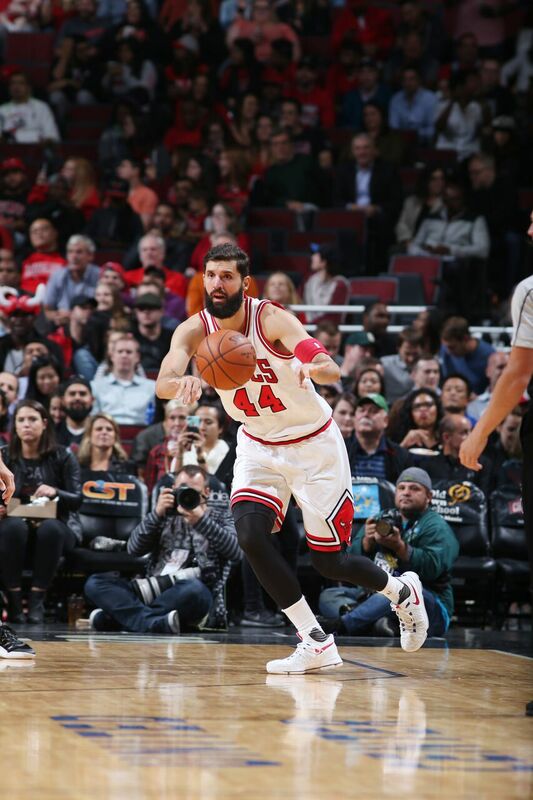 Mirotic started the season well, 15 points and nine rebounds in the opening night win over Boston; 16 points and 10 rebounds over Brooklyn, whom the Bulls host Wednesday; 17 points with eight of 11 at the free throw line in the rematch with Boston a week later. After five games, he was coming off the bench and averaging 14 points and more than two made threes per game. But then came a scoreless game in a loss to Indiana, single digit scoring in five of the next seven games, 28 percent three-point shooting the rest of the month, another scoreless game in the blowout loss in Dallas earlier this month. The pressure seemed to be mounting, the likely voices in the background reminding him of his contract status, the players on the Bulls bench like Bobby Portis grabbing his playing time. All the while the team remained desperate for three-point shooting, his forte. With six of 27 three-point shooting for December, Bulls coach Fred Hoiberg had to make a move after the blown 21-point lead in the home loss to Minnesota Dec. 13. He benched Mirotic for the first time in his NBA career, two games in which Mirotic did not play as the Bulls were blown out on consecutive nights against the Milwaukee Bucks. Carrying around career lows in scoring (9.4), shooting and three-point shooting just when he wanted so badly to do more and do it well, Mirotic turned to have a serious talk. It’s been a steady arc of improvement, and it had a big dividend Monday when Mirotic’s 21 footer with a breath left on the shot clock basically saved the game for the Bulls with 21 seconds left. They were about to blow a 16-point lead. Dwyane Wade’s steal on the next possession sealed the victory, a relief for the Bulls as well as Mirotic. Wade went on to say afterward that the Bulls vitally need Mirotic’s production for success. And as much as the Bulls certainly can not do without Wade and Jimmy Butler, Mirotic with his shooting and defensive rebounding potential is something of that X-factor. The Bulls are 5-3 when Mirotic scores 15 points or more. He averages 10.7 points in their wins and 8.1 in the losses. He shots 45.7 percent in the wins and 31.5 percent in the losses. His three-point shooting, assist and rebound averages also are much better in the team’s victories than in the defeats. As Niko goes so go the Bulls? That would be unfair and too much pressure. But continued offensive production from Mirotic is essential for the Bulls to improve. They are 15-16 with Wednesday’s home game against the Nets and then another three games in four nights sequence this weekend before going to Cleveland. The Bulls are hanging in the middle of nine Eastern Conference teams between fourth and 12th place separated by three games. Cleveland and Toronto have separated themselves and Boston appears to be making the next move. Doug McDermott missed Monday’s game with a shin injury, but is expected to play Wednesday. Michael Carter-Williams returned after missing 27 games and though he had one point in 19 minutes, his defense and playmaking was crucial in the fourth quarter. The Bulls outscored an opponent in the fourth for just the second time in 17 games. Mirotic had a season high 20 points against the Pacers, and it is his offense and shooting which could make a major difference for the Bulls the rest of the season. Especially with Butler apparently feeling some strain. He’s averaging 17.8 the last six games, playing at least 39 minutes three of the last four and averaging just five free throw attempts the last six games. He’s shooting 40 percent in that stretch and 30 percent on threes. So for Mirotic and the Bulls it’s moving forward. Two of the Bulls’ worst losses of the season were those two games against the Bucks when Mirotic sat out on coach’s decision. Since then, Mirotic has scored double figures in each of the five games, had one double/double and the 20-point high. He’s made 13 of 34 threes, widening the defense while averaging about 12 shots per game. Wade has been counseling Mirotic on more favorable shooting locations, which has helped. Though the Bulls biggest issue has remained an inability to deftly move the ball and spread the defense. Mirotic’s play could prove a major factor. The Bulls certainly can hope. They need him.